Rosemary Rawlins is the author of a memoir entitled Learning by Accident, a caregiver’s story about the intense two-year period following her husband’s severe traumatic brain injury — a result of being struck by a car when riding his bicycle. Rosemary has eight years experience in full-time caregiving for loved ones with brain injury, dementia, and chronic obstructive pulmonary disease. HealthSouth Rehabilitation Hospital of Virginia presented Rosemary and her family with the “2011 No Barriers Award” in September 2011. Their story was featured in the New York Times Science Section on January 10, 2012. 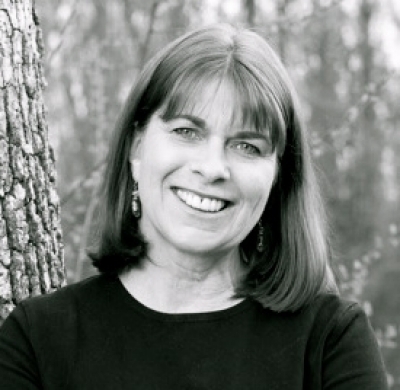 Rosemary grew up in Long Island, New York and worked in the human resources field for two large companies before moving to Vermont with her husband, Hugh. In Vermont, she gave birth to twin daughters, Anna and Mary. They all moved to Glen Allen, Virginia in 1990 when Hugh landed an executive job with a Fortune 500 company in Richmond, VA.
Rosemary received her Bachelor’s degree in HR Management from the University of Richmond, VA. She currently serves as project consultant and advisory board member for the TBI Model System of Care at Virginia Commonwealth University. She has presented her story at medical conferences, hospital grand rounds, and college classrooms. She also conducts periodic presentations for the Leadership Training program at International Paper Corporation, with a focus on overcoming fear.